1st item: Japanese porcelain Kutani covered jar having bird and foliate reserve decoration, bamboo finial to lid and bamboo form feet to base. Signed on the base. 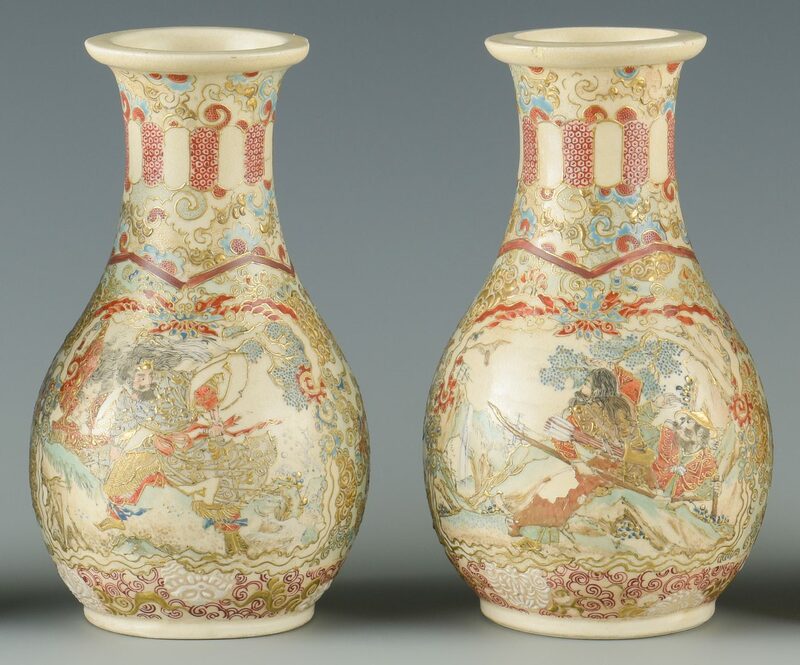 6" H. 2nd item: Pair of Satsuma bottle form vases having warrior and chrysanthemum decoration and applied gilt accents. Impressed seal mark to the bases. 6 1/8" H. 3rd item: Satsuma bowl with shaped rim, the exterior having cobalt field with flowering branch decoration and decorative band below, the interior with flower and birds amongst flowering branch decoration. Red seal to the base. 2" H x 4 3/4" dia. 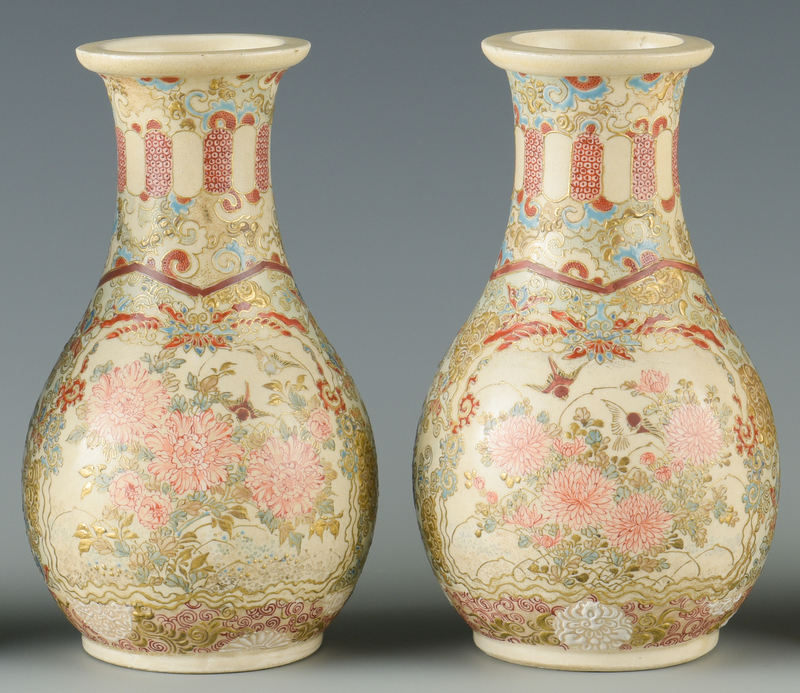 4th item: Satsuma vase with black gound and gilt foliate decoration, red seal to the base. 5 7/8" H. All items Late 19th/Early 20th century. 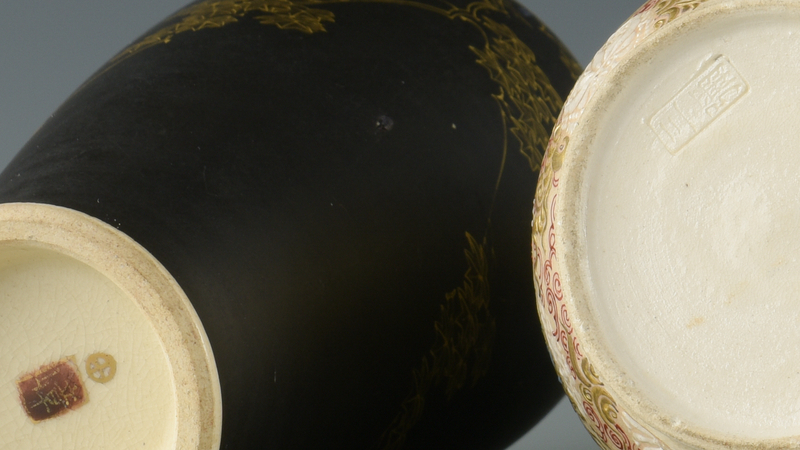 CONDITION: One bottle form vase with old chip to rim. Some abrasions to body of 4th item.